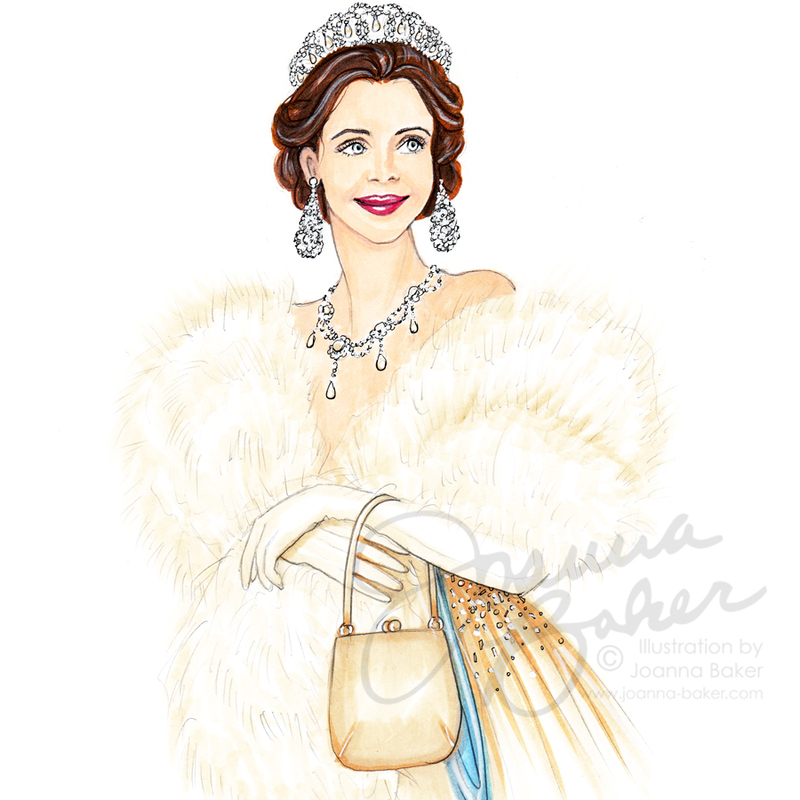 FEMtrepreneur: Joanna Baker – Accomplished Fashion Illustrator and Innovative Designer – Word Couture Co. The thought of landing a design job in the exclusive fashion industry sounds like a dream, and giving it up to start an online illustration business is a risk that not everyone would be willing to take. However, for innovative designer Joanna Baker, this intrepid move is one of the best decisions she’s ever made. 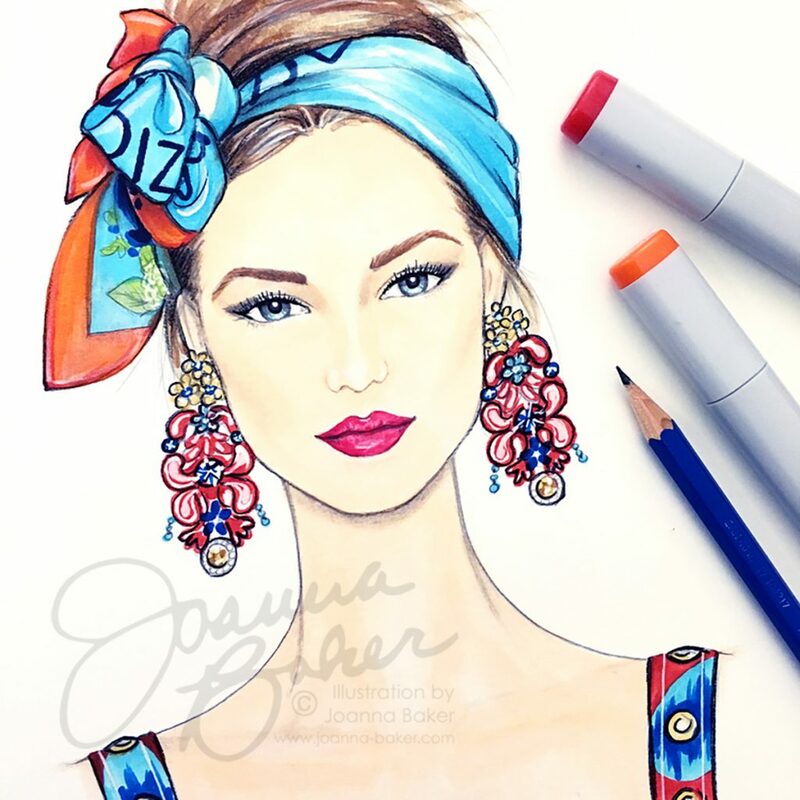 Combining her exquisite creativity with savvy entrepreneurship skills, Joanna fearlessly quit her day job to become a full-time fashion illustrator in 2015. This talented New-York-based artist has sketched her way to success with colourful etchings of hard work, enthusiasm and determination. 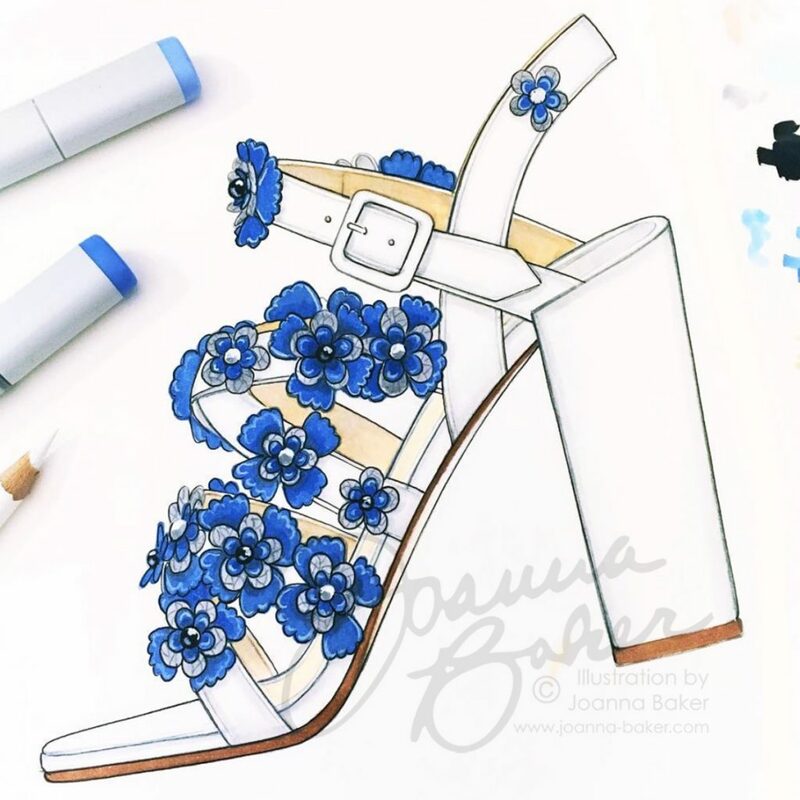 With her outstanding work being recognised on social media by top international designers and celebrities, to winning a Christian Louboutin design challenge, it’s certain that Joanna’s artistic future is going to be a luminous one. 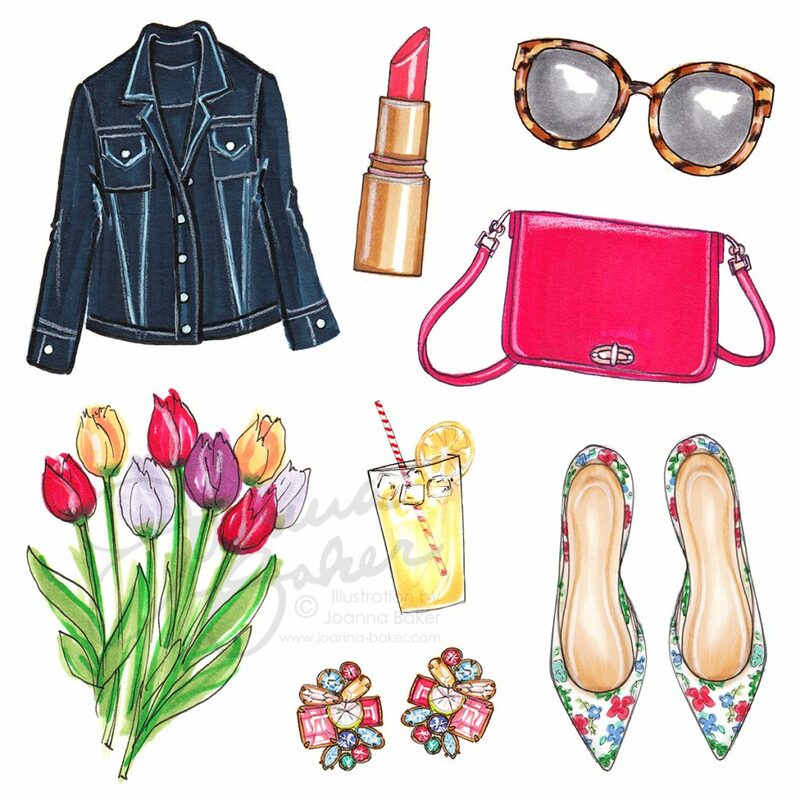 Read on as she shares her passion and inspires us with her ardour for all things illustrated. For as long as I can remember, I’ve loved to draw and create things. Growing up, I had an entrepreneurial drive and tested out a variety of businesses. From selling vegetables grown in my Mom’s garden as a little girl to painting and selling Christmas ornaments at craft fairs, and later designing handbags on the floor of my dorm room in college, I’ve always had a business. 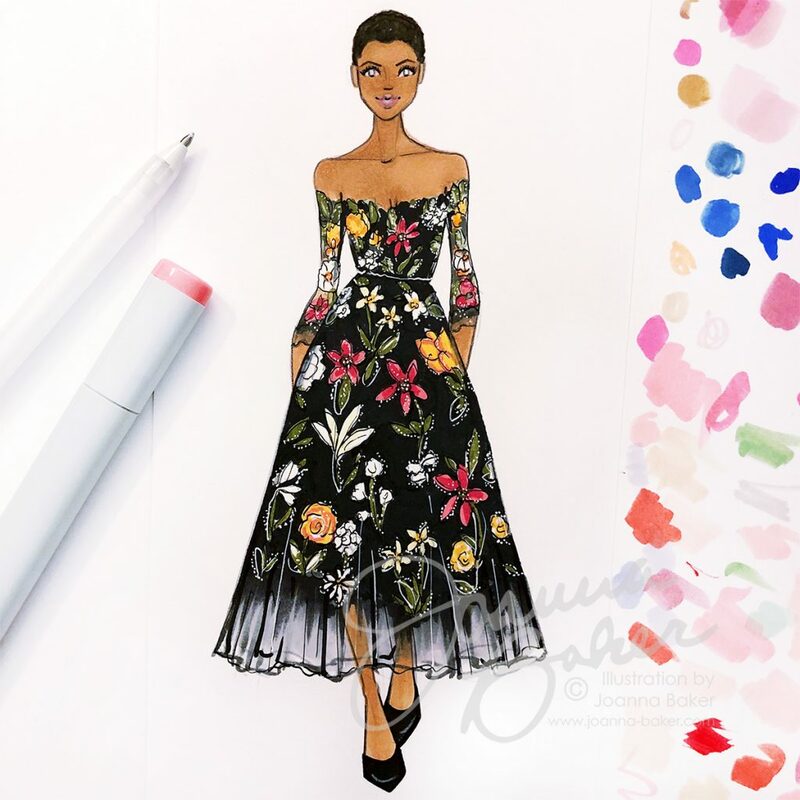 After studying both studio art and fashion in school, I decided to combine the two and start a fashion illustration blog as a creative outlet while at my full-time fashion design job. Slowly but surely, I developed enough interest in my artwork that I was able to quit my day job and pursue a career as an illustrator. Yes, I initially studied Studio Art at Washington College, and then went on to study Fashion Design at the Parsons School of Design in New York. I can’t remember my very first project, but one of my earliest big projects was sketching and designing a winning look for a design contest hosted by Christian Louboutin and Bergdorf Goodman. My alma matter, Parsons, reached out to me about a design contest for alumni of the Associate’s Fashion Design program. Each contestant was asked to design an outfit inspired by a shoe from Louboutin’s 20th anniversary collection. 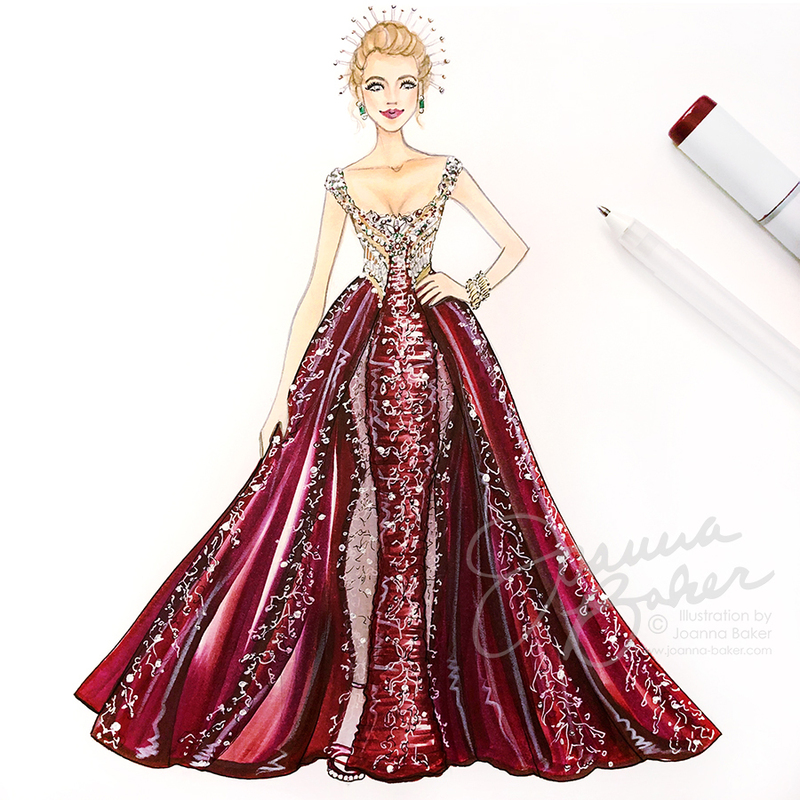 Linda Fargo and Christian Louboutin chose my design, and I was given a stipend to purchase the materials and make my sketch come to life! I used the sewing, pattern-making, and draping skills I learned in my fashion design classes to create a gown that was worn by a model at a celebratory party for the anniversary shoe collection. My winning dress was later featured on the main floor of Bergdorf Goodman for a week following the event. It was definitely a dream come true! It’s still a bit of a mystery to me. Sometimes I’ll have a morning or day or even part of a week where I don’t feel like making anything. It’s frustrating but I’ve learned to kind of let it be and spend my time working on other aspects of my business or take a break and go for a walk through the garden to clear my head. When I do get inspired, though, it’s usually hard to keep up! What illustrative services do you offer? I love working with brands and private clients to come up with custom illustrations for social media collaborations, fashion illustration portraits, wedding stationery, business logos, and more. I feel so fortunate to work with many wonderful clients who come to me with a variety of ways they’d like to incorporate my work into their events and projects. Most recently, I’ve been working on establishing licensing agreements with a few major retailers in the U.S. and worldwide. I can’t wait to share more details about those projects soon and look forward to licensing more of my work in the future. It’s fun to collaborate with brands that I already love and use in my daily life. It’s always great working on commissions for clients who have an idea of what they’d like but then trust in my work and give me the creative freedom to surprise them with the finished illustration. Everything seems like a challenge when you’re first starting out and sometimes the biggest challenge of all is not getting discouraged by that alone. I’ve had plenty of times where I felt like I didn’t know what I was doing and that it wasn’t going to work out. But I’ve found that if you keep consistently working towards your goals and putting your work out there, little things will happen to change your circumstances. I call them “universe presents”. During the first year and a half of working for myself, I kept feeling like I was gaining momentum and then I’d hit a wall. This happened over and over again, it felt like a vicious cycle. But each time, just before I was about to feel hopeless, something would happen, like my fashion design idol Carolina Herrera re-gramming my work, my products being featured in Town & Country magazine, or Blake Lively liking my sketch on Instagram and my account getting 600 new followers overnight (back when Instagram was just starting this had a bigger impact on engagement). These little presents from the universe kept me going enough to break through the wall and get to the next step. Eventually last year I started gaining the confidence to reach out and make some of my own opportunities so I don’t have to rely as much on the universe’s presents to get me through – although it’s still exciting and fun to get a surprise out of the blue every once in a while! Too many to count! But I’ve also never felt the need to track them because I love what I do. Pretty things! 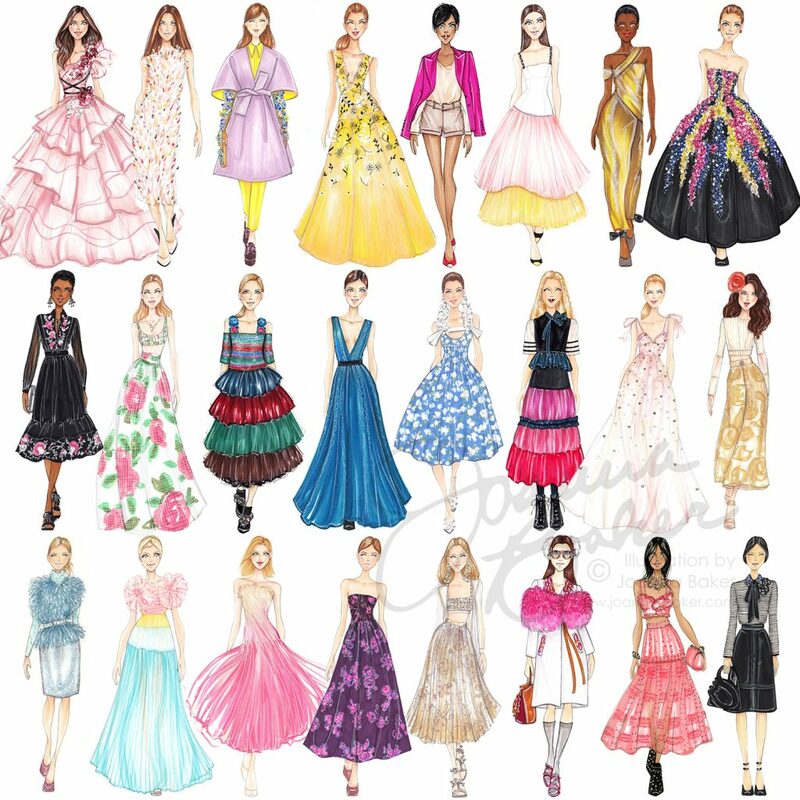 Anytime I see a gorgeous fashion show look, an exhibit at the Met, beautiful costume designs from my favorite TV shows or movies, red carpet gowns, an adorable dog on the street, yummy pastries in a bakery window, a fabulous outfit worn by a favourite fashion blogger, I just have to sketch them! It’s also inspiring to attend small business seminars and panels and surround myself with creative people. Afterwards, I’m always full to the brim with ideas and can’t wait to get to work on my business. Social media has had a huge impact on my business and has allowed me to make connections with brands and new clients that I don’t think I would have been able to otherwise. Instagram has been a great tool to get instant feedback on my latest work and an easy way to share ideas and new products. I enjoy connecting with people, giving drawing tips and sharing tutorials on my YouTube channel for those interested in pursuing their own creative passions. I think taking steps to build a community around your art and business helps to give customers and followers an even better understanding of who you are and what’s important to your business. I have a few more ideas and projects which I plan on implementing soon and that are all aimed around the idea of building a community. It sounds cliché, but the rebellious act of believing in myself enough to quit my full-time job and pursue my business is one of the most courageous things I’ve done. And it’s something I have to wake up and keep choosing to do every day. There are a lot of things working against small business owners, but having the audacity to believe in yourself and keep going even when others don’t see it (or sometimes even when you’re having a hard time seeing it) is something you can’t over value. When you work for yourself, there’s no one to really give you a performance review or congratulate you on a job well done. And as women, I feel we’re often taught to play down our achievements and not give ourselves credit for the work that we do. But it’s so important to take a moment, even a tiny one, and acknowledge those milestones no matter how small they may seem to you at the time. What are the pros and cons of working in a creative field? Pros: Your entire business path and journey is up to you. 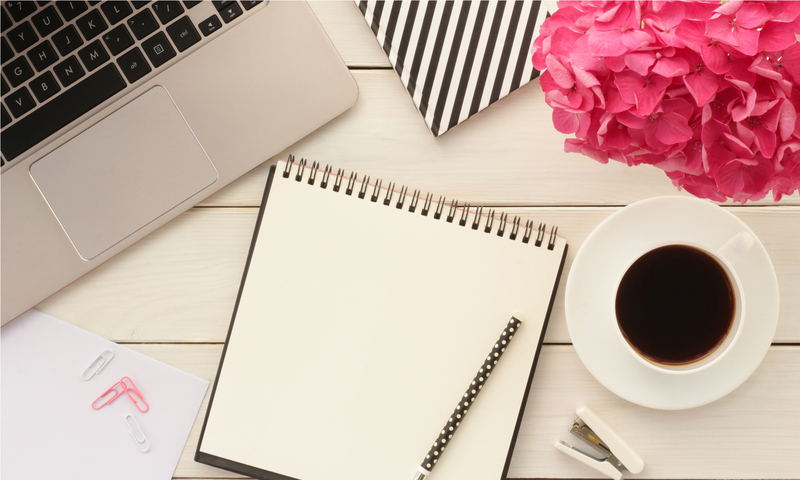 You can choose the projects you work on, how much time you spend on each part of your business, what you’d like to focus on, and how to promote your work. The sky is the limit and it’s exciting to be the creative director of every aspect. Cons: Your entire business path and journey is up to you. It can be overwhelming, especially if you’re a one-person show. There’s no real map to success and advice from others can only get you so far. Something that may work for someone else may not work for you and there will always be an element of trial and error that goes along with owning a creative business. I love the possibility. There are so many ways in which I can see myself growing my business that I have a hard time keeping up with all the ideas! I really do love all the aspects of running a creative business and I feel like this is the only job I could have where I’m able to utilise all of my skills and creativity to the fullest. I get to be a graphic designer, product developer, web designer, social media manager, video producer, customer service representative, packaging designer, logistics manager, advertising marketer, and illustrator all in one day! I can’t really think of a single moment as being the proudest, but I’ve had a lot of little moments that I’m proud to have experienced; the day I quit my full time job, launching my online shop, winning the Louboutin contest, having my winning sketch featured in British Vogue, getting invited as an illustrator to New York Fashion Week for the first time, having the chance to work with some of my favorite brands, reaching 25K on Instagram, hosting a pop-up shop to sell my illustrations at the very same J.Crew store as my first job in NYC, and most recently, signing my first multinational licensing contract. What career goal you would love to achieve? My next goal is to create online classes for illustration and creative small businesses. I’ve learned a lot over the years and would love to share my knowledge and experience to help others! 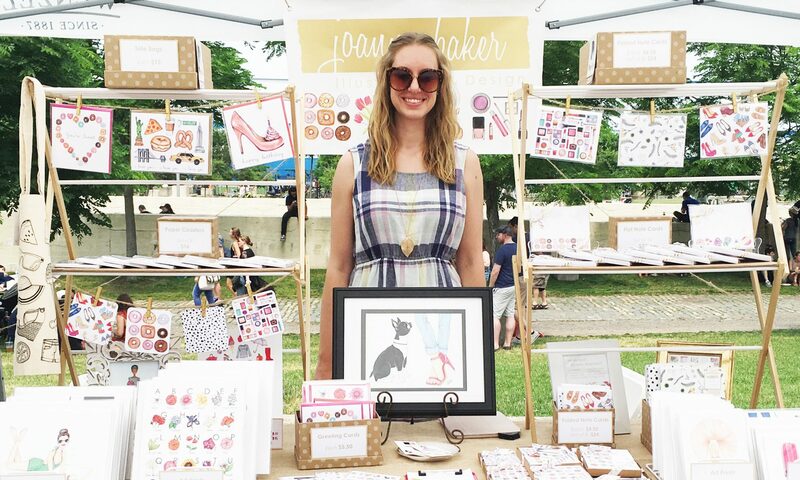 Joanna’s unique illustrative style lends authenticity to her work and makes each engaging piece stand out from the digital stockpile. Her generosity and love for her craft is admirable as she shares her skills with budding illustrators via tutorials on YouTube. Her métier for the fine arts, coupled with her entrepreneurial drive, is an attestation to the fact that there is value and endless possibility in the field of creative arts. I’m SO proud of you Joanna!! !